This t-shirt I am wearing is a collaboration between B.O.A.T (Best of All Time) Attire and my two lovely friends Karla Garcia and Mayleen Gonzalez. The collaboration was inspired by the now popular Shark Week, and was meant to also inspire people to style and wear boat attire even after they are off the boat. For that matter, several bloggers were sent over this tees to see how each of us would style them, this post was suppose to come out last week but knowing how I am all the way across the country it didn't get to me by then. I styled my tee with a white crisp blazer and jeans that look more like pants to give it a more sophisticated street chic look, plus it was very chilly the day I shot it. What I love about B.O.A.T Attire's line is that they easy-to-wear pieces that can transition from day to night, check them out and get your Shark Week inspired-tee for yourself. 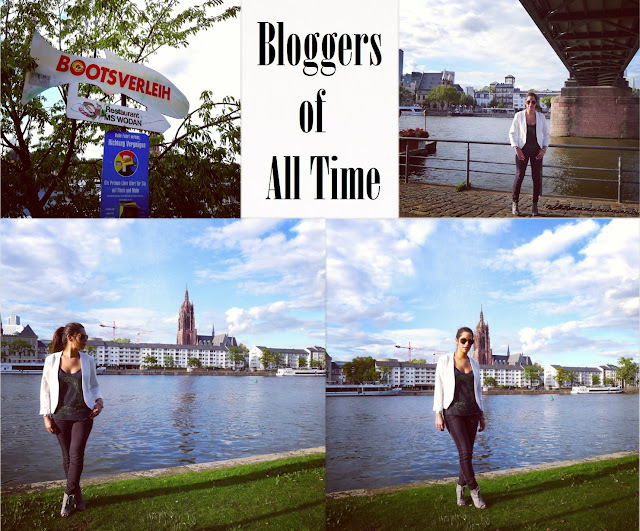 To see how other bloggers styled their tees look for hashtag #bloggersofalltime on Instagram. I still need to write you back regarding the tennis...I haven't forgotten.